Being the first to bring the Sony Ericsson Xperia X10 to North American shores, it's no surprise that the Xperia Arc and Play will officially be headed to Rogers this spring. While being a pretty large time frame for the devices to launch this is still exciting news. TORONTO, Feb. 13 /CNW/ - Is Canada ready to play? Sony Ericsson and Rogers think so. Canadians will be among the first in the world to experience the Sony Ericsson Xperia™ PLAY, the world's first PlayStation Certified smartphone, and the Xperia™ arc smartphone, which will debut in Canada exclusively at Rogers™. The Xperia™ PLAY and Xperia™ arc are expected to be available in Canada in Spring 2011. "Connecting people to the things they are passionate about is what we do. Whether it's watching the latest episode of your favourite show or beating your gaming high score, we are always looking for game changers that connect our customers to more of the things that matter to them, when they want, wherever they are," says Raj Doshi, Vice President, Mobile Product Management, Rogers Communications Inc. "Together with Sony Ericsson, and backed by the amazing power of Android, we believe the Xperia PLAY and Xperia arc are going to revolutionize mobile gaming and entertainment experiences for Canadians and we're excited our customers will have exclusive access to them." "We're showing that we've got game by introducing our most exciting Xperia™ products yet and Canadians have a lot to look forward to this year with two of the hottest Android™ smartphones," said Peter Farmer, Head of Marketing - North America, Sony Ericsson. "Both the Xperia™ PLAY and Xperia™ arc combine best in class multimedia Sony™ technology with the latest Android™ platform and breathtaking design to entertain and wow consumers." Xperia™ PLAY delivers the smartphone functionality that the most serious power users could need, teamed with the immersive gaming experience that any gamer would want. In portrait mode, the Android smartphone offers all the benefits that users have come to expect from Sony Ericsson's existing range of Xperia™ smartphones with best-in-class entertainment experiences, a great 5 megapixel camera, a brilliant 4" multi-touch screen and great social networking features. However, slide out the gaming control and users enter a new world of immersive mobile gaming. The slide out game pad reveals a digital D pad, two analog touch pads, two shoulder buttons and the four PlayStation icons: circle, cross, square and triangle. Qualcomm's optimized Snapdragon processor with a 1Ghz CPU and embedded Adreno GPU graphics processor deliver silky smooth 60fps play-back 3D mobile gaming and Web browsing with minimal power consumption so Xperia™ PLAY users can enjoy long hours of battery life and game time. 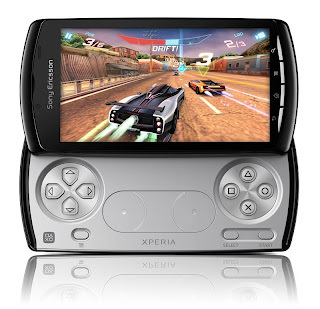 Xperia™ PLAY will run on Gingerbread (version 2.3), the latest version of Google's Android™ platform. 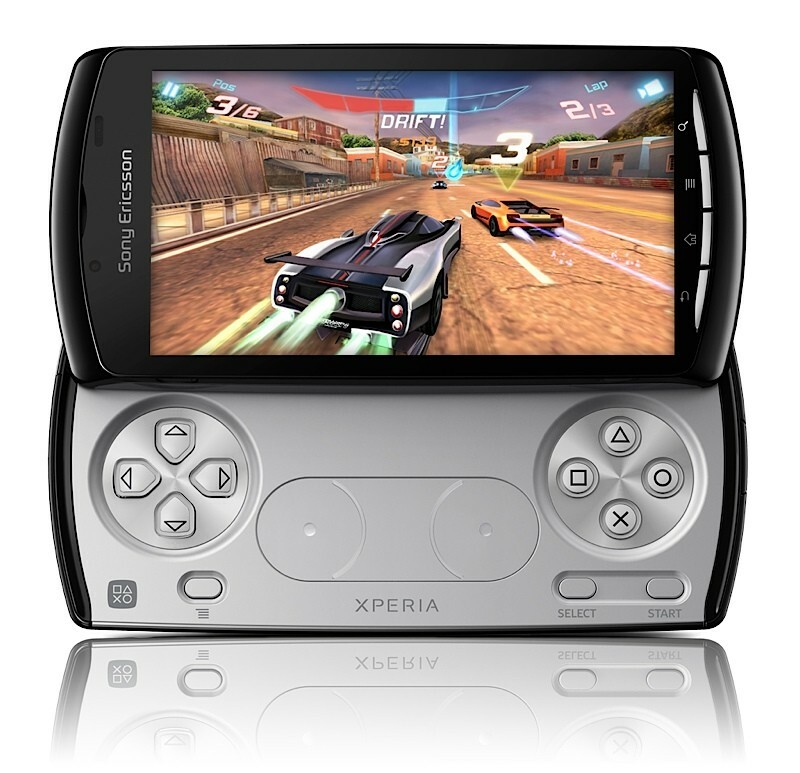 The Xperia™ PLAY will also be the first PlayStation Certified device. This means it will have access to PlayStation® game content provided through the PlayStation® Suite initiative, currently under development by Sony Computer Entertainment and due to launch later this calendar year. Sony Ericsson has partnered with key publishers in the gaming industry to deliver a rich, vibrant ecosystem at launch and post launch with many leading new titles available via the Android™ Marketplace. Leading franchises coming to Xperia™ PLAY includes EA's Sims 3 and a world-first multiplayer version of FIFA 10 for mobile. Sony Ericsson is also partnering with Unity Technologies, using its award-winning development platform, to ensure a continuous flow of high quality 3D game titles. Xperia™ arc takes the stunning design that Sony Ericsson has become known for to a new level. Super slim and light, Xperia™ arc is just 8.7mm at its thinnest part and has an extra wide 4.2" multi-touch screen. Created from premium materials and with a stunning arc body, this smartphone is sleek, and designed to fit perfectly in the user's hand. The best of Sony™ technology is inside Xperia™ arc. The Reality Display with Mobile BRAVIA® Engine delivers exceptional visual brilliance and a crystal clear image which enhances the overall entertainment experience. Furthermore, Sony's award-winning Exmor R™ for mobile sensor, with the f/2.4 lens, enables the capture of high quality, bright pictures and HD videos even in low light. All pictures and videos can be shared in HD on your living room TV via the built in HDMI-connector. Xperia™ arc will launch on the latest version of the Android™ 2.3 platform providing access to Google Mobile™ Services and the myriad of applications available on the Android market. Xperia™ smartphones add best in class entertainment on top of smartphone fundamentals such as apps, maps, email and fast Internet to create the most entertaining smartphone experience. Pricing will be announced at launch. Any product features, specifications or statements in this document that are not historical facts are forward-looking and involve risks and uncertainties. Actual product features, specifications or forward-looking statements are subject to change.